Brother UK has been commended by Princess Anne for its excellence in employee training and development, picking up one of the highly-regarded Princess Royal Training Awards. The awards honour employers in the UK that have created outstanding training and skills development programmes, resulting in exceptional commercial benefits for the business. ICT services provider, Brother UK, was praised specifically for developing training which is tailored to meet the needs of individual employees, as well as ensuring staff are equipped with the skills required to be successful in the technology industry. The judges were also impressed with Brother’s incentive-based approach which helps to motivate employees, reduce absenteeism and build succession planning in the business. 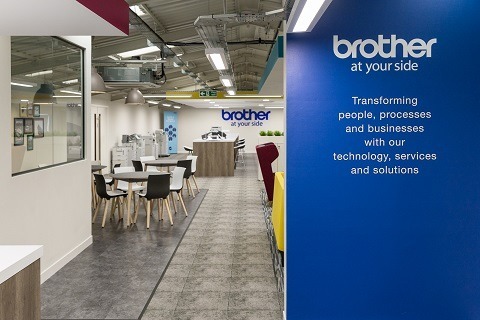 Louise Marshall, infrastructure and shared services director at Brother UK, said: “We believe that learning and development is key to ensuring long-term competitiveness which is why we place so much emphasis on staff training. “This award win comes not long after the business was honoured with the Investors in People (IIP) Platinum status – the most prestigious accolade in people management – last year. The Princess Royal Training Awards are delivered by the City & Guilds Group. This year, 116 applicants were assessed against three Hallmarks of Excellence: training is integral to business performance; the programme is delivered efficiently and effectively; training has an impact on the success of the organisation and its people. Brother UK was among 40 organisations recognised this year. Chris Jones, Group Chief Executive of the City & Guilds Group, said: “Employers of all sizes across the UK are seeing real and tangible benefits of training and developing their people. Representatives from Brother UK will collect the award on 2 November at a ceremony at St James’s Palace.